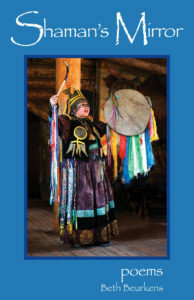 Shamanic Universe – Beth Beurkens, M.A. Thank you for visiting Shamanic Universe. You are on a Journey, perhaps seeking healing and answers to urgent life questions. You may be searching for spiritual connections and deeper knowledge. You may be at a crossroads in your life or facing a dark night of the soul. Perhaps you want to discover your true life purpose and fill up with vitality. Are you ready to transform your long-delayed Dreams into how you really want to live your life? It does not matter that you may have tried a hundred times before. I would be honored to assist you on your Journey.